Talents never dry out and the fashion industry never lacks them. There are a plethora of designers in every corner of the world if you just take a look and these designers are constantly using their talents to clothe the world. Among them are fresh faces striving to put forth their creative voices and establish their own fashion brands. You might say “the fashion sphere is saturated” but isn’t all of the market space? New and upcoming designers, especially in this era of fast-paced fashion help keep the competition and creative spirit alive. Think about it: don’t you just get bored of doing and seeing the same thing? So just imagine a world with no fresh fashion designs from new labels to spice up your life. 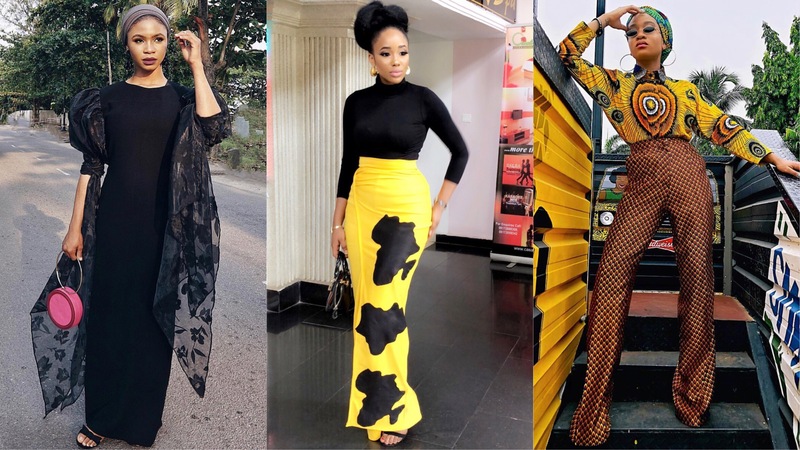 I see that now you are agreeing with me – in which case, you should be ready to explore the new Nigerian fashion designers that are about to take up space in 2019. By new designers, I don’t mean that they just emerged yesterday; on the contrary, many on this list have been grinding for a while now and thanks to their persistent pursuit of creative authenticity, I anticipate that 2019 may just be their solid break out year. Odoemena Obiageri Blessing made her name known last year when she won in her category at the SME 100 Africa Top 25 innovative entrepreneurs in 2018. Her outfit to the award proved she was deserving but wasn’t done yet. In November she broke the internet when she attended the Eloy Awards in an iconic mustard yellow jumpsuit with a cape sleeve and easily made everyone’s best-dressed list. The designer sure has what it takes to dominate the market and we can’t wait to see what she offers this year. Wild Kulture is the Brain Child of Jennifer Oseh, fashion influencer and image consultant. There’s no doubt that Jennifer is a creative genius. She has thrilled fashion lovers for years with her fashion choices and combinations which is a fine mixture of eccentric, bohemian and sassy. Jennifer is undoubtedly a fashion creative and her brand is the embodiment of her. At the age of 16, Destiny Nwadire made her debut at the 2015 LFDW and has taken Nigeria by storm with her brand DNA by Iconic Invanity. The daughter of Nancy Nwadire, creative director of Iconic Invanity, her designs are intricate, detailed and they emit a powerful and graceful vibe. Hafsah Mohammed has made it easy for young girls like her to feel comfortable loving both fashion and religion without guilt. The fashion blogger and stylist, however, took it a step further when she opened her fashion brand Elora with the aim “Redefining modest fashion.” Hafsah has made us fall in love with her modest style and I can’t wait to see how she continues to grow her brand in 2019. Onakome Evioghene Osalor has been described as “one hell of a stylish lady” since her emergence on the social scene. I mean she was one of the first Nigeria fashion influencers to hit big numbers on Instagram. People fell in love with her sense of style and every time she posted a picture Instablogs were ready to re-post. Komee, however, took a break to birth her son but before that, she began to show off stunning self-designed pieces which she modelled for sell. Her IG break might have hindered her popularity but once she got back, she came with fire, showing off more stunning pieces with designs that could only come from her head. Komee has continued to grow her brand, slightly away from the limelight but we can’t help but admire her work anytime we see it on her or her clients. We know she’s coming for our wigs this year and we can’t wait for them to be snatched.